A Riproaring family variety show with amazing acts is being put on for a local Tyneside children’s charity. 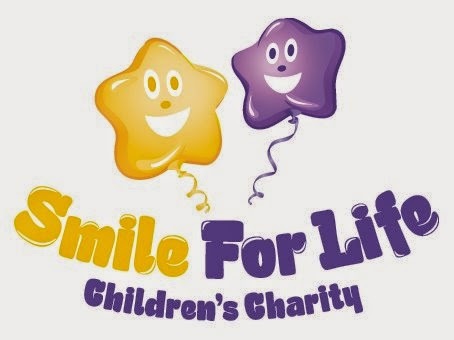 Smile For A Night will be held at Newcastle’s Tyne Theatre in aid of Smile For Life charity, and see a whole host of highly acclaimed performers take to the stage. The line-up includes BBC New Comedy Award 2014 winner Lee Ridley, known as The Lost Voice Guy, who will be using his voice synthesiser to entertain the crowd. Lee has cerebral palsy but manages to communicate through his iPad and tours the UK with his stand-up act. 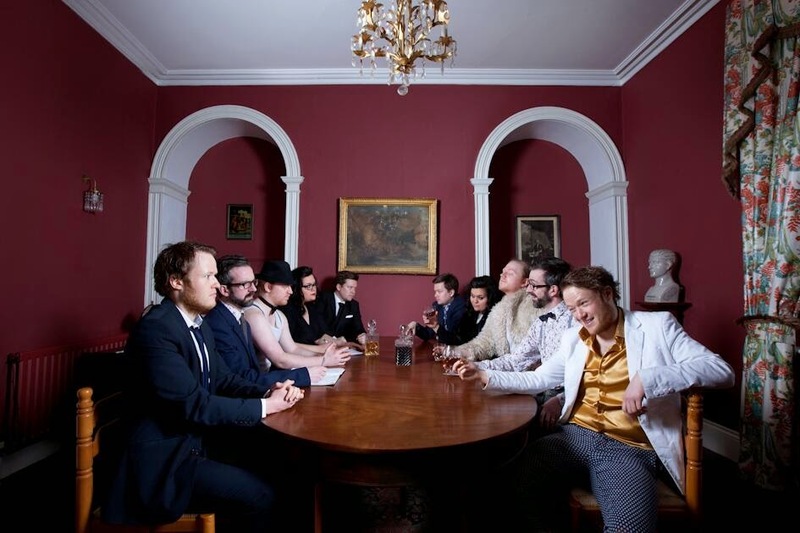 The charity, based in Gosforth, also held a competition through BBC Radio Newcastle to find a final act and Peculiar Disco Moves was decided as the winner by the judges. The quirky North East pop band have featured on BBC Introducing and BBC 6 and will be getting the audience up of their feet with their catchy tunes. Other Geordie crowd pleasers taking part are contortionist and escapologist Chris Cross, comedians and panto stars Danny Adams and Clive Webb, who are also comparing the show, and Britain’s Got Talent 2014 star Nick Celino. The Frozen Sisters will be performing songs from the hit Disney musical, show dancers from the Marron School of Dance, theatre school Twisting Ducks - for adults with learning difficulties and local boyband The Waiters. Smile For Life Patron Danny Adams, best known for his sell-out pantos at The Theatre Royal, comedy bonanzas with Cannon and Ball and Circus Hilarious tour at Butlins, says the show will be great entertainment for the whole family to enjoy. It is hoped that Smile For A Night Variety Show will be the first of many for Smile For Life Children’s Charity. Chief Executive Paula Gascoigne said: “We are so happy to be launching the first Smile For A Night, it will be wonderful family entertainment, and we hope it becomes a great annual event in the region. 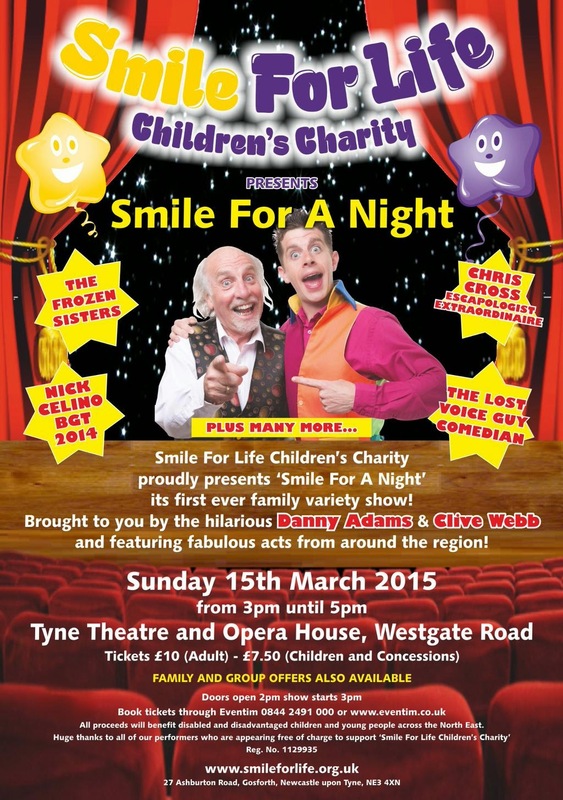 Smile For A Night will begin at 3pm on Sunday March 15 at The Tyne Theatre and Opera House, Newcastle. Tickets are now on sale at £10 for adults, £7.50 for concessions. Family tickets are £30 and groups of 10 can get a free ticket when bought together. Go to www.eventim.co.uk or call Eventim on 08442491000.